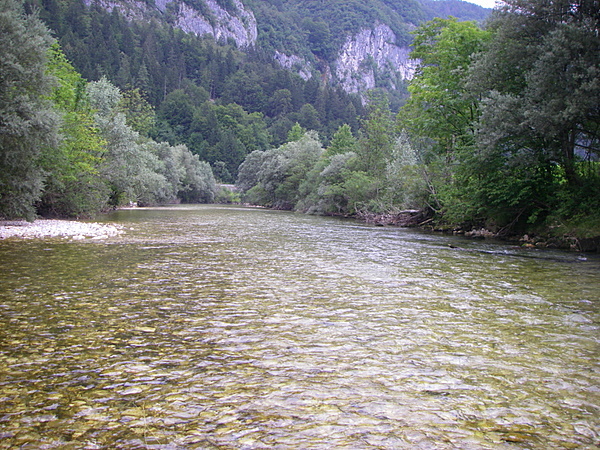 After a short night and delicious breakfast we went to Sava Bohinjka in the district managed by Fisheries Research Institute of Slovenia. 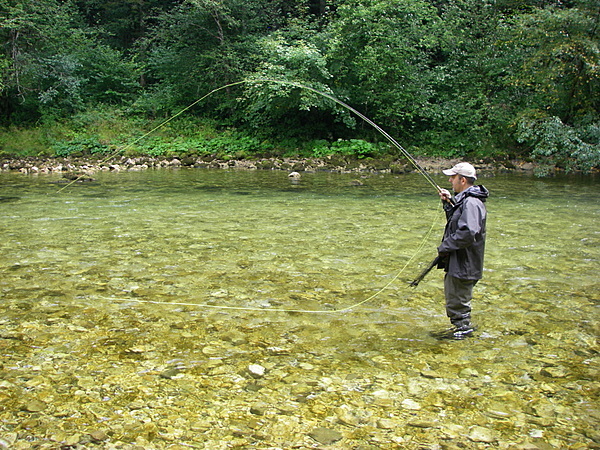 In the morning the weather was ideal for fly-fishing. 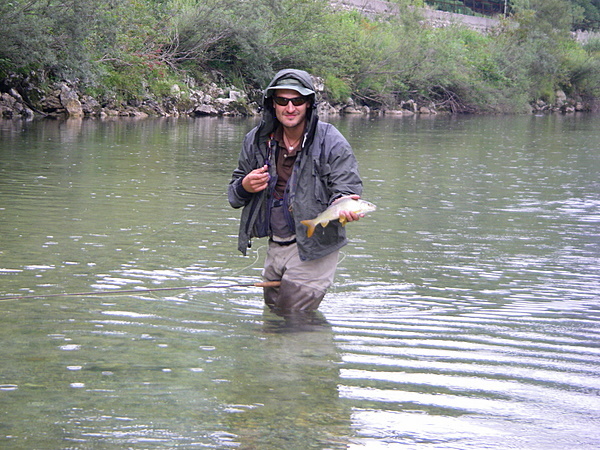 Fishes were active on the surface and couldn´t resist our small cdc flies. There was a big swarm of red spinners but the fishes weren´t attracted to them. We caught graylings and rainbow trouts. 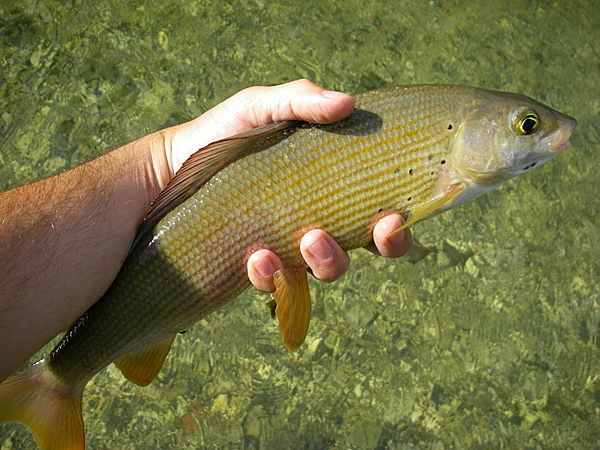 In fact I was very surprised that the quantity of introduced rainbows was very low, and on the other side, the quantity of grayling much more than last year. But like in all fairy tales, suddenly changed everything, because it started to rain and become windy. 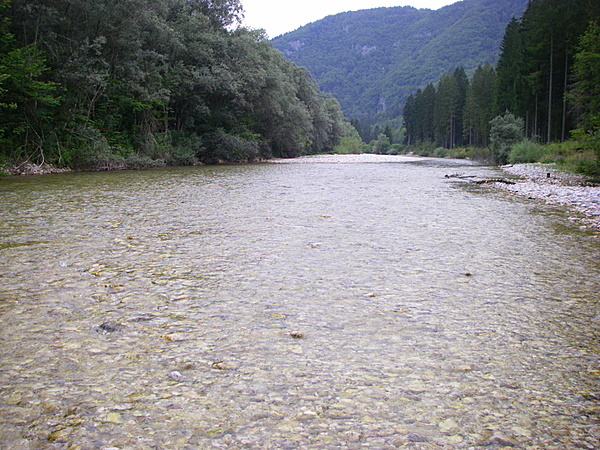 The surface activity ended and dry flies were replaced by nymphs. We decided to change position and also the rain was gone. 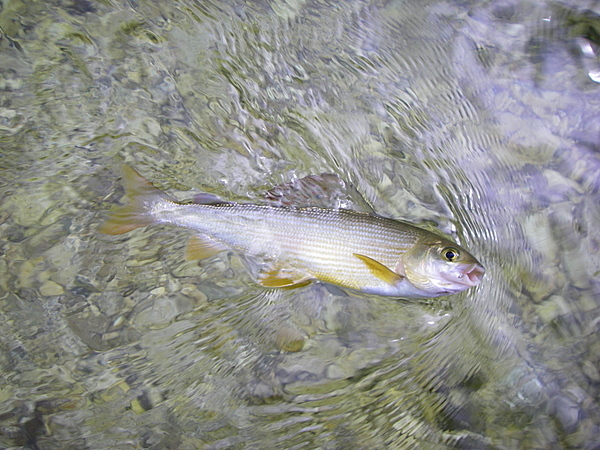 On nymph I had at least 20 strikes, mostly of them were rainbow (all were about 20 centimeters), but also some grayling. 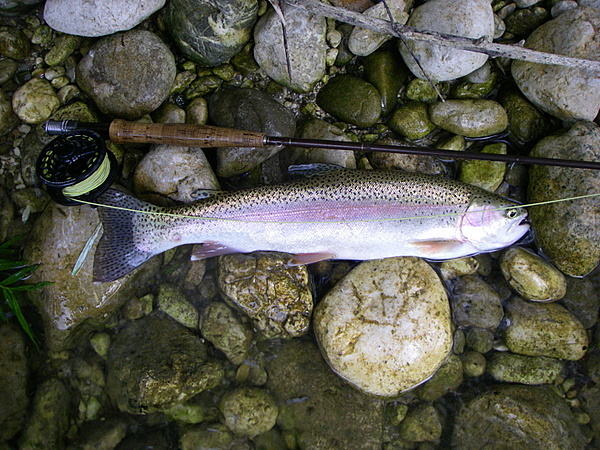 I caught a big rainbow (it seemed natural) and as soon I had it in the net it started to rain again with more intensity. I waited under a bush till it ended and went to the others. 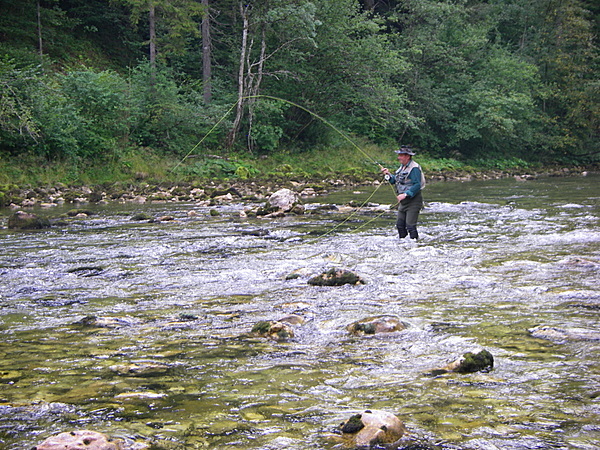 After that we went to the last position and had a chance to catch graylings on dry-fly and rainbows on nymph. 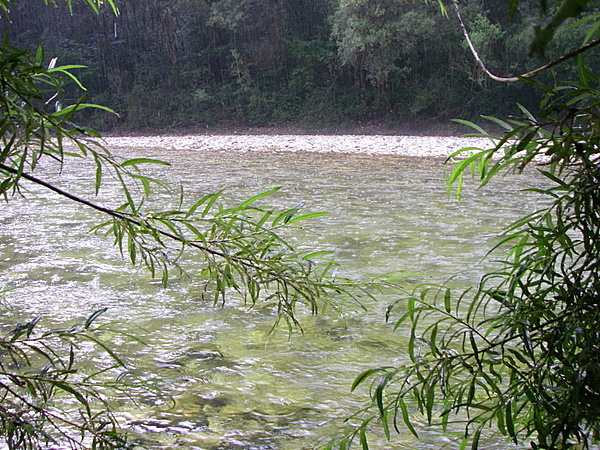 And again it started to rain but this time we decided to finish our fly-fishing day and went back home. 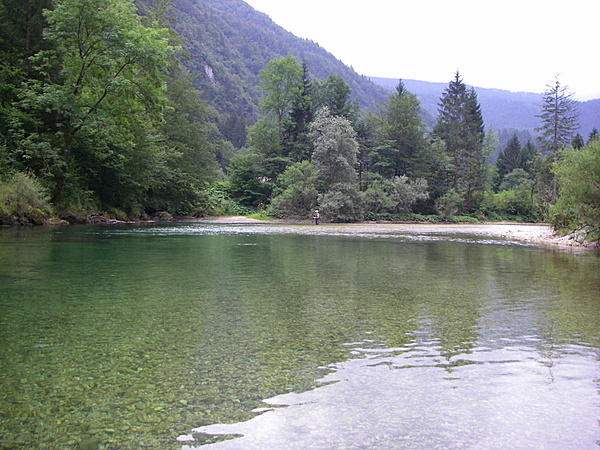 I ´m fishing for several years now on Sava Bohinjka and I could say that the water is better now, because they don´t introduce rainbows anymore or is reduced to the minimum.